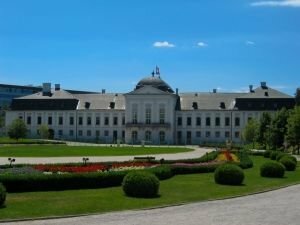 Grassalkovich Palace is located in Bratislava, Slovakia. This is the residence of the President of Slovakia, near the Palace of the Archbishop. The building was built in 1760 for the needs of the Hungarian aristocrat Count Antal Grassalkovich. The Count was the leader of the Hungarian Chamber. The building was designed by architect Anton Mayerhofer. Grassalkovich Palace is a magnificent building built in the style of neoclassicism. The palace has many beautiful rooms and spectacular staircases, decorated with splendid baroque railings. The palace has long been the center of musical life. Here composer Joseph Haydn takes his musical premiere. The count himself headed the Grassalkovich orchestra. Joseph Haydn often conducted this orchestra. In the palace of Count Grassalkovich were held lavish balls, where he collected the aristocracy. The last owners of the beautiful building before the end of the Austro-Hungarian Empire were arch duke Frederick of Teschen. 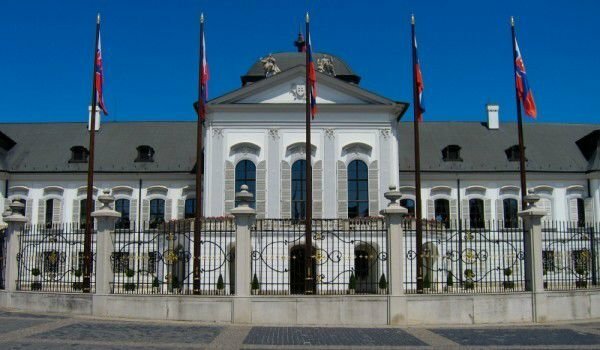 In the forties of last century, the palace was the seat of the first President of the Slovak Republic. After 1945 the palace was the seat of the so-called commission. In fifty years the building became the Palace of Pioneers and youth. It was a major center for the development of the spiritual life of students in the city. However, this has reflected very badly on the building since it was virtually destroyed, and only in 1989, the palace was restored. Since 1996 the palace has served as residence of the Slovak president.